Ask any backpacker who’s been to Southeast Asia about Vang Vieng, and they’ll know exactly what to tell you about – wasted twenty-somethings careening downriver on inner tubes, liquored up all-night parties, and cheap Western restaurants playing VCR’s of “Friends” on loop. There’s no doubt that the small town of only 25,000 people has developed a tourist reputation within the past decade. Stories of drunk tourist deaths on the banks of the Nam Song River have permeated almost all parts of Southeast Asia. 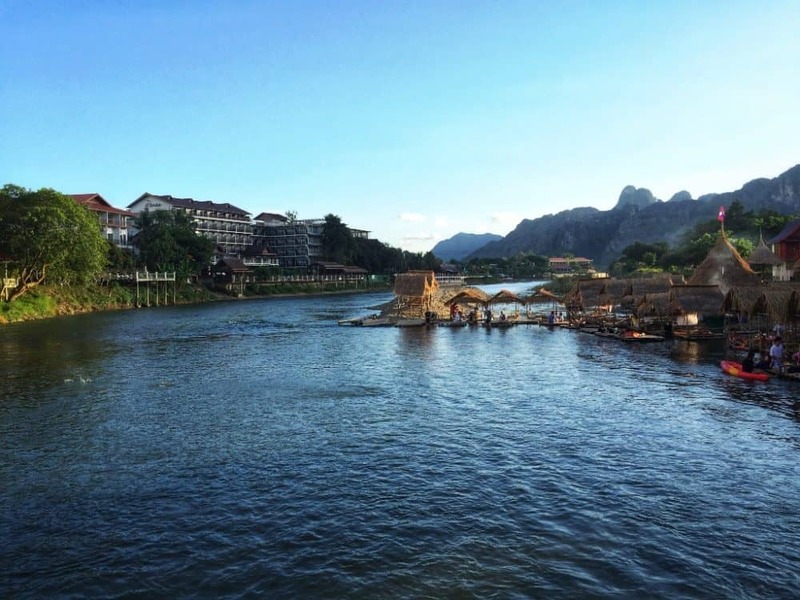 But there’s another far gentler side of Vang Vieng that remains often unexplored, unfortunately making this picturesque town quite notorious and often misunderstood. In short, Vang Vieng is home to some of Southeast Asia’s most beautiful natural scenery, and some of the most striking geologic formations I’ve ever seen. 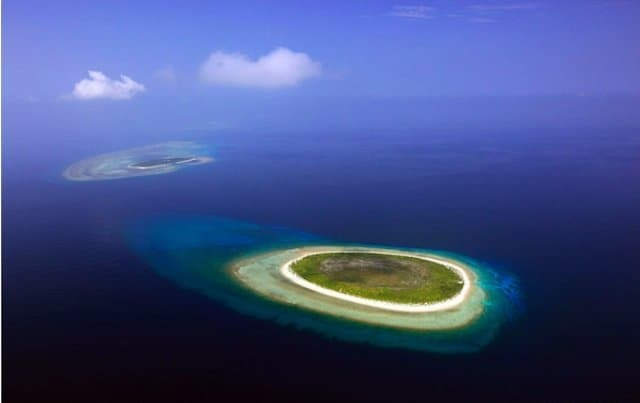 Enormous karst hills (or mesas made of limestone) jut up out of the Earth aggressively on all sides of town, and are softly blanketed by almost cartoon-ishly bright and vibrant green vegetation. Some, I swear, look like enormous waterfalls, pouring lush plants and flowers down the mountains between the crags and nooks on its face. 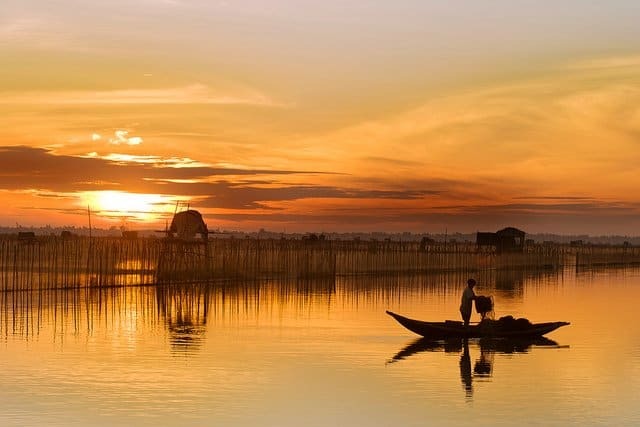 Combine that with the regions dusty orange soil and the turquoise Nam Song River, and you have a scene fit for any paradise. 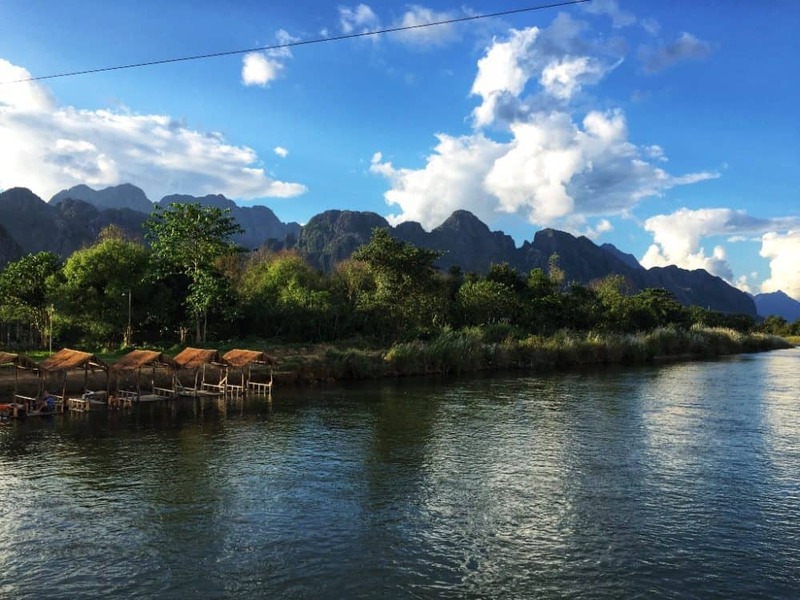 What I’d recommend to any traveler in Vang Vieng is to take a day to do all the day-drinking stuff (there’s no denying that its great fun), but spend another one or two exploring the town and its surroundings. Grab a mango and banana smoothie and chill out at one of the many “Friends” restaurants. Walk around town and check out the local fruit and food stands. 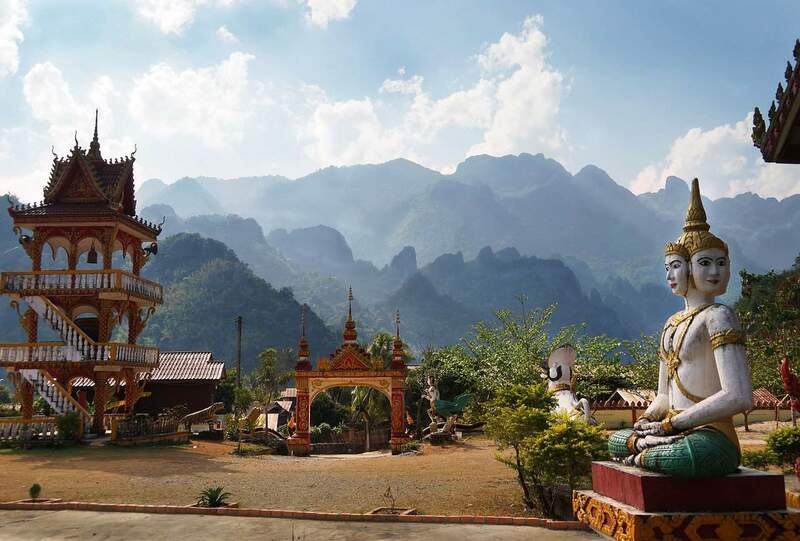 Rent a motorbike and drive out on that dusty orange path, meander through the rock formations, and find yourself the spot in Vang Vieng that speaks to you. 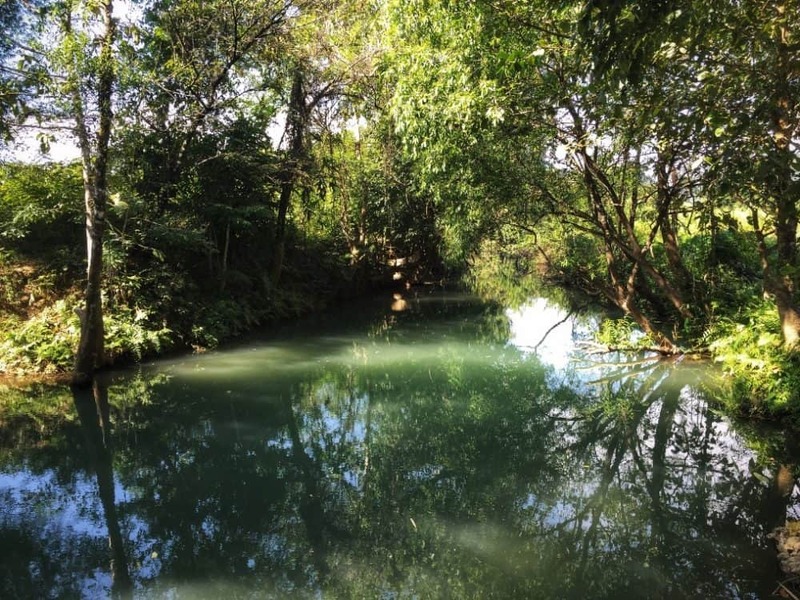 A great spot to get started is the all-too-touristy Blue Lagoon – an attractive and calm portion of the Nam Song River, designed as a safe and fun space to enjoy the refreshing water (and with a hefty entrance fee of $2). It’s a quick 20 minute motorbike ride outside of town, and quite easy to get to. However, in classic Laos fashion, my friend and I found ourselves at a cheaper ($1) knockoff, coincidentally (but not coincidentally) also named the Blue Lagoon. It’s equally, if not more stunning than the original, and certainly quieter and more serene, but seeing a 3 meter long water snake in the water was enough to get us headed over to the real one. In short, Vang Vieng definitively has a well-earned reputation — there’s no doubt about that — but take some time to explore it’s real hidden gems, because they truly are unique. 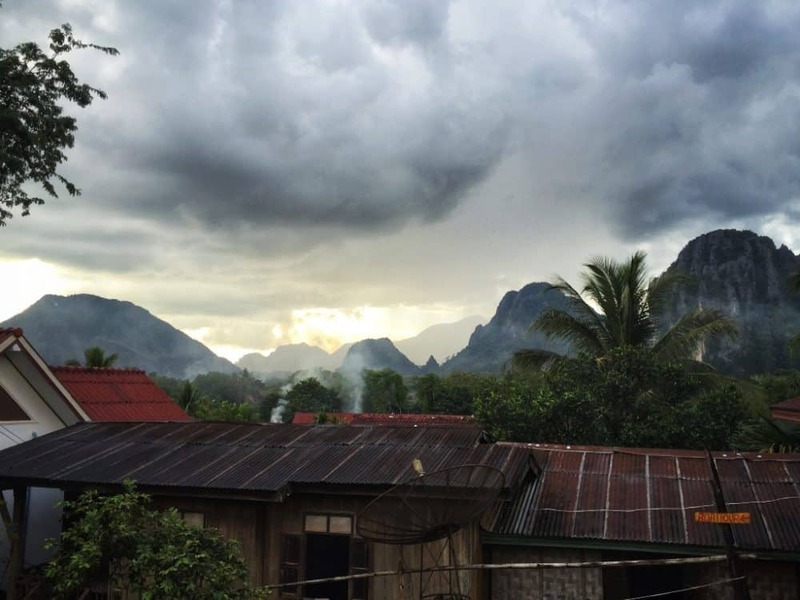 In all honesty, I didn’t even expect to go to Vang Vieng during my time in Southeast Asia — it simply wasn’t on my travel route. But after seeing it for myself, it’s stuck out in my mind as the most prominent natural landscape in all of Southeast Asia. 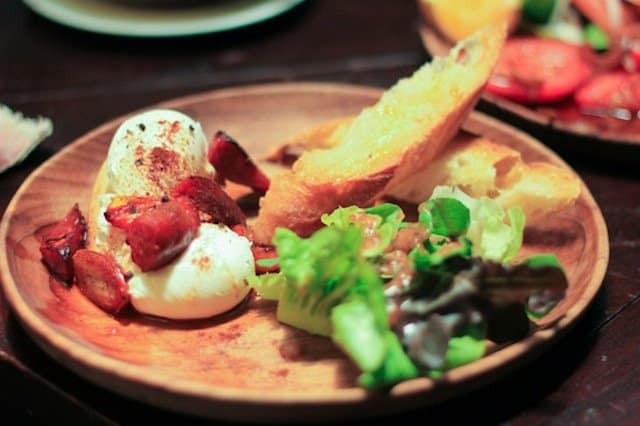 All words and photos by our guest travel blogger Gilad Gamliel. Gilad is a traveler in his 20’s who takes advantage of every opportunity to travel. 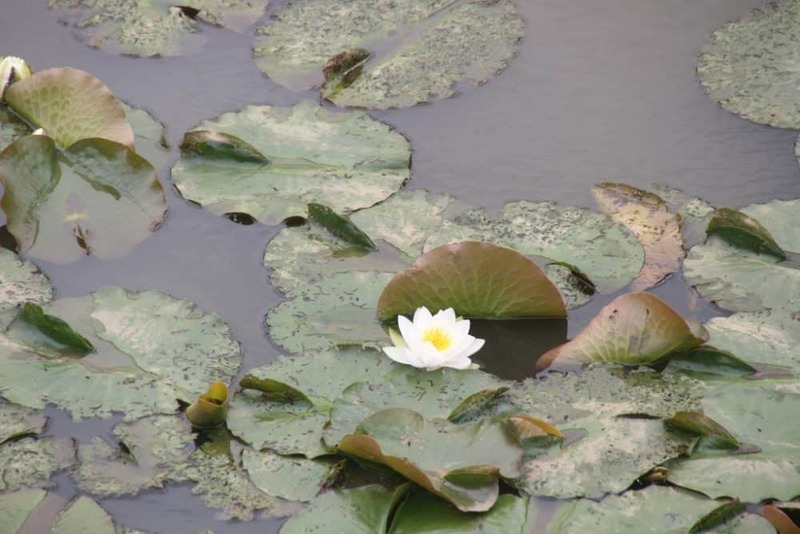 He has Hypochondriasis, OCD and moderate anxiety, but doesn’t let it stop him from experiencing the world, and in fact, has managed to turn his mental shortcomings into positives. His website Anxious & Abroad aims to show other nervous travelers and first timers that travel isn’t just for the carefree nomadic types, but can be fun and rewarding for any kind of person — neurotic, meticulous, anxious or organized. Follow his adventures on Instagram and Facebook! Looks like paradise, I’d loved to visit Laos one day! 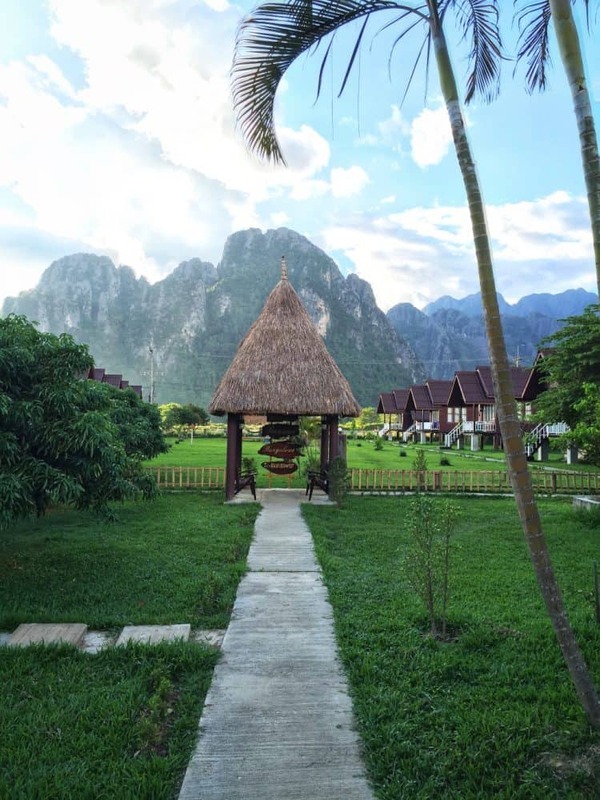 Vang Vieng looks so serene and pure. Totally my kind of a destination – so much of outdoor stuff to do. It’s both beautiful and great fun – a great place to chill out! Very cool place! Great photos!